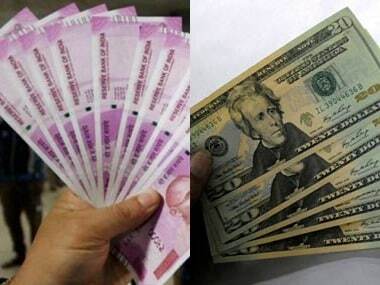 Mumbai: The rupee on Tuesday gained 18 paise to close at more than two-month high of 69.71 against the US dollar propelled by foreign capital inflows and a weaker greenback in overseas markets. Dollar selling by exporters and banks also supported the domestic currency, forex dealers said. Foreign investors continued to pour in capital into Indian markets on Tuesday amid growing risk appetite for riskier assets. According to provisional exchange data, FPIs put in Rs 2,477 crore on a net basis in capital markets on Tuesday. They had invested a net Rs 3,810.60 crore on Monday. "Rupee gains for a second day as risk-on sentiment boosts hopes of more inflows into the domestic equity and debt market. The benchmark BSE Sensex closed at five-month high with whopping gain of 1.30 percent," V K Sharma, Head PCG & Capital Markets Strategy, HDFC Securities observed. The US dollar index -- a measure of the greenback's strength against a basket of major global currencies -- was lower by 0.17 percent at 97.012. The British pound rose against the dollar after British Prime Minister Theresa May struck a revision to the Brexit deal that she expects would sail through parliament. At the Interbank Foreign Exchange, the rupee opened at 69.73 and advanced 25 paise to 69.64 on strong gains in equity markets. Later, it trimmed some of the gains to end up by 18 paise or 0.26 percent at 69.71, the highest closing level since 1 January. 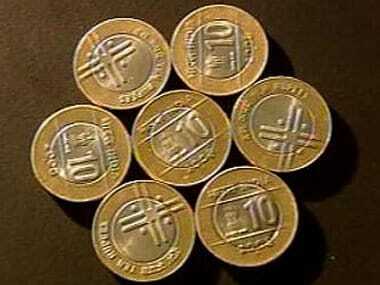 The rupee had gained 25 paise Monday. The 30-share BSE index settled 481.56 points, or 1.30 percent, higher at 37,535.66. The broader NSE Nifty reclaimed the psychological 11,300-level and closed with gains of 133.15 points, or 1.19 percent, at 11,301.20. Analysts said that foreign funds poured money in domestic equity market by pricing in second term for the incumbent NDA government. Meanwhile, Brent crude, the global oil benchmark, rose 23 cents to $66.81 per barrel on account of healthy demand and output cuts led by producer group OPEC.